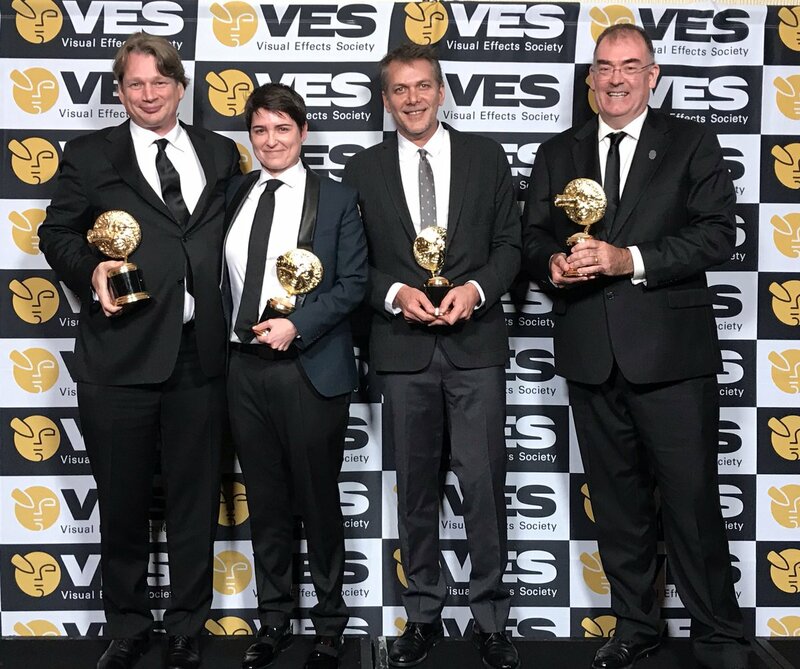 The Avengers and Spider-Man superhero teamed up to win eight combined awards at the Visual Effect Society Awards, recognizing excellence visual effects on February 5 at the Beverly Hilton in Beverly Hills. 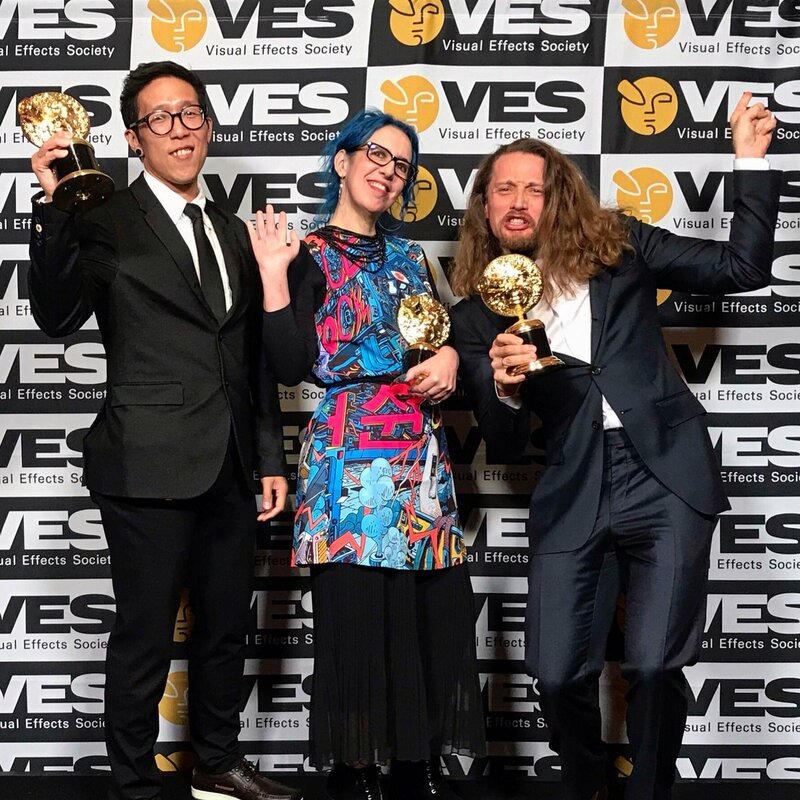 Avengers: Infinity War won four awards in the Photoreal Feature categories including: Visual Effects, Animated Character, Effects Simulations and Compositing. 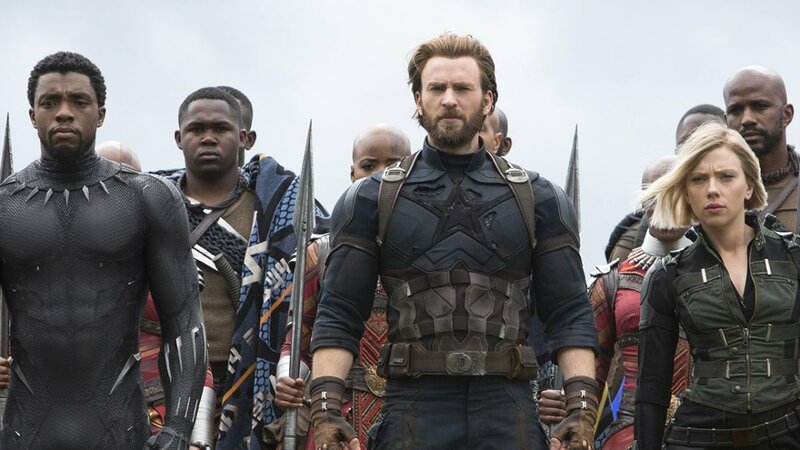 With 2680 VFX shots by more than a dozen VFX companies working on Avengers: Infinity War, basically most of the industry shares in winning the Visual Effects award, said the winners accepting their award on stage. Studios working on the film included Marvel Studios, Perception, Cinesite, Digital Domain, Double Negative, Elstree Effects, Framestore, ILM, Method Studios, RISE, Scalene, Lola, Territory Studio and Weta Digital. Daniel DeLeeuw, Jen Underdahl, Marr Aitken, and Daniel Sudick accepted the award. The Visual Effects awards is most equivalent to the Oscars Visual Effects award. So even though there are different voters for these awards, you should just vote for Avengers: Infinity War to win the VFX Oscar in your Oscar viewing party game. Just like he won in Infinity War, our favorite purple bad boy Thanos just keeps on winning, elimination more than half of his competition in the Animated Character category. 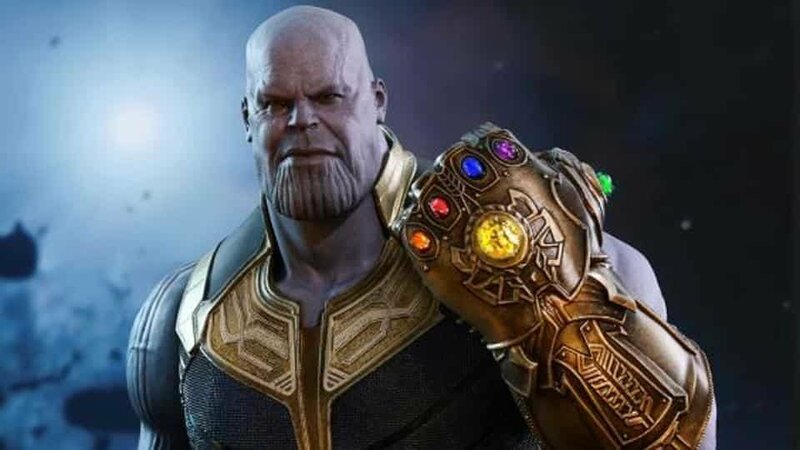 Thanos’ lifelike face and eye performance helped viewers relate to, and even feel sorry or tear up for Thanos, making him not only the most powerful and villainous, but the most empathic, and therefore best Marvel Cinematic Universe villain to date. Credit to actor Jsoh Brolin, with animation from Digital Domain and Weta Digital teams. 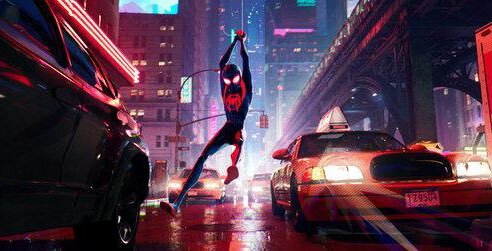 Spider-Man: Into the Spider-Verse won four awards in the Animated Feature category, including Visual Effects, Animated Character, Effects Simulations and Created Environment for the city of New York. 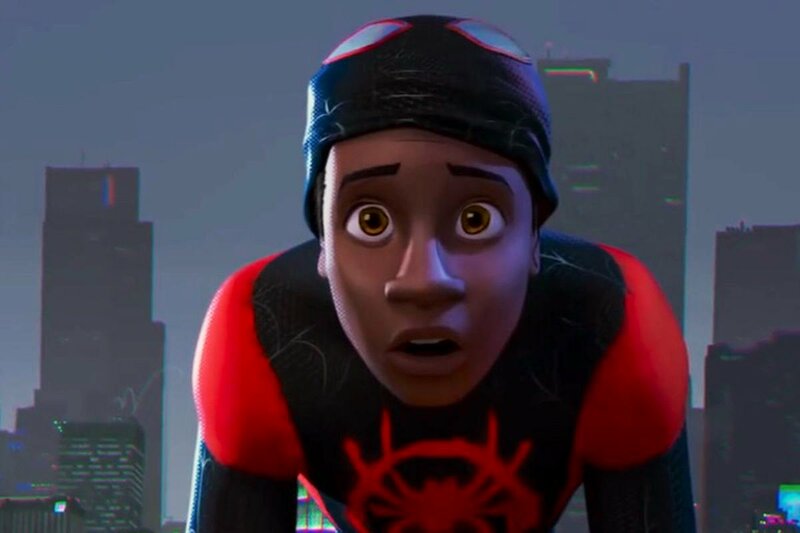 Miles Morales won the Animated Character in Animated Feature category, thanks no doubt to both Miles’ expressions and amazing action sequences in the film. New York City plays a role in the Spider-Verse film too, jumping alive with activity throughout the film. Lost in Space won four awards in the Episode (TV show) categories: Visual Effects, Animated Character (Humanoid), Created Environment, and Compositing. 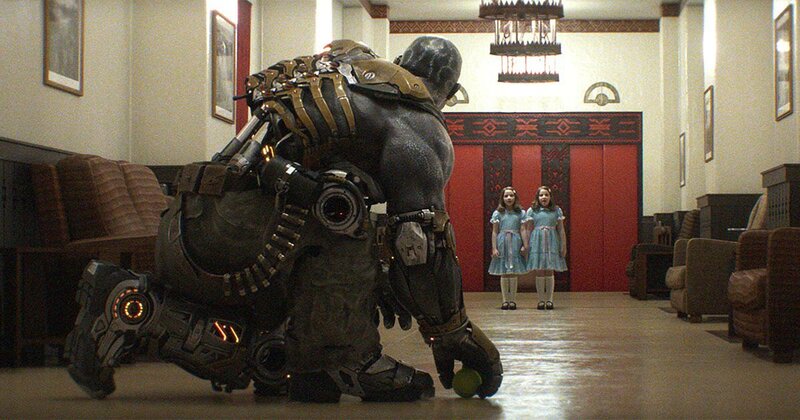 Ready Player One won Created Environment in Photoreal Feature, for that eerie perfect Shining scene. Stanley Wong, Joana Garrido, Daniel-Stefan Gagiu accepted the award. 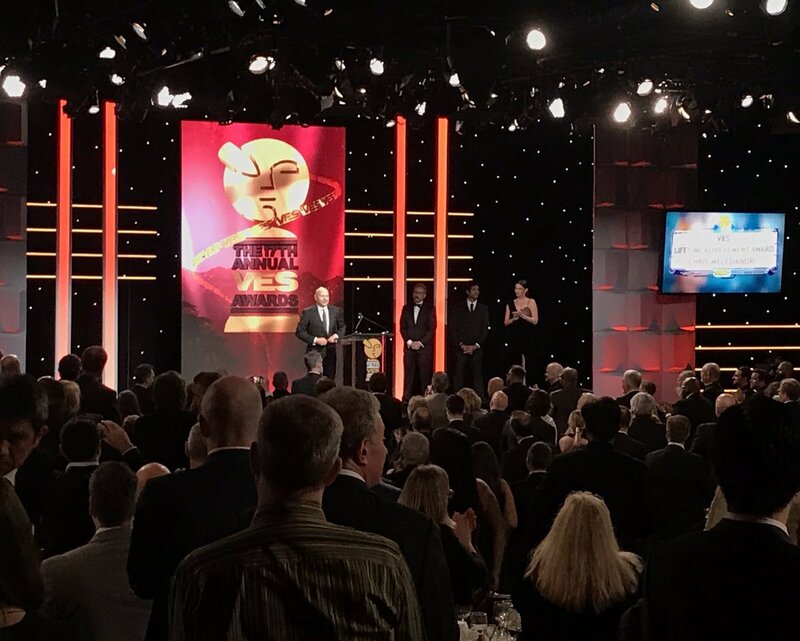 Steve Carrell, wore a Gru mask awarding the Lifetime Achievement Award to Chris Meledandri (Despicable Me, Minions, Secret Life of Pets), with a standing ovation for Chris. Evan Rachel Wood (Dolores in Westworld) presented the Visionary Award to Jonathan Nolan for his VFX intensive Westworld. 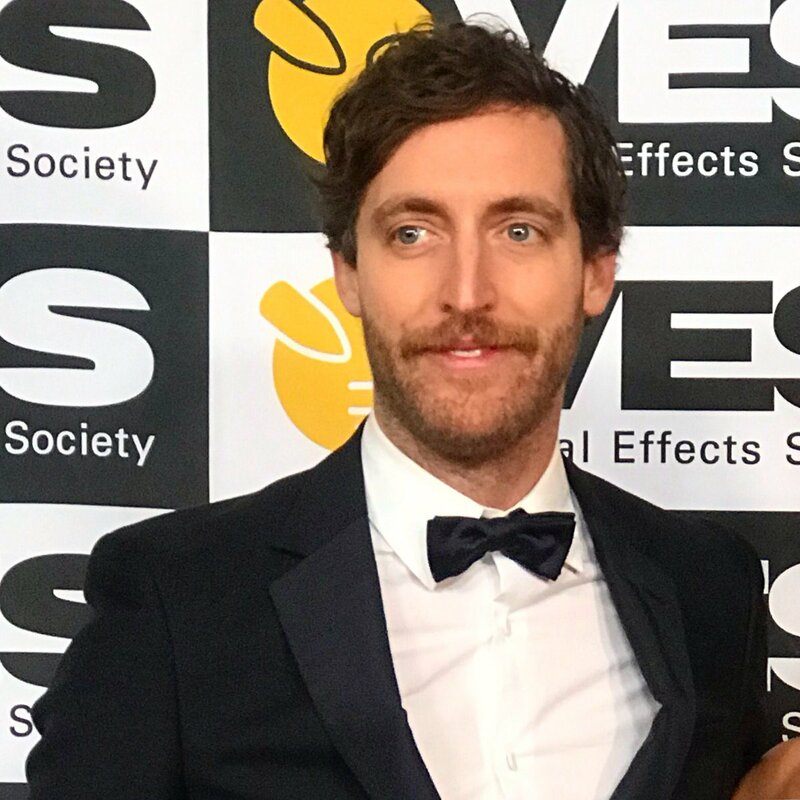 Thomas Middleditch (Silicon Valley) presented the two Animated Character awards. 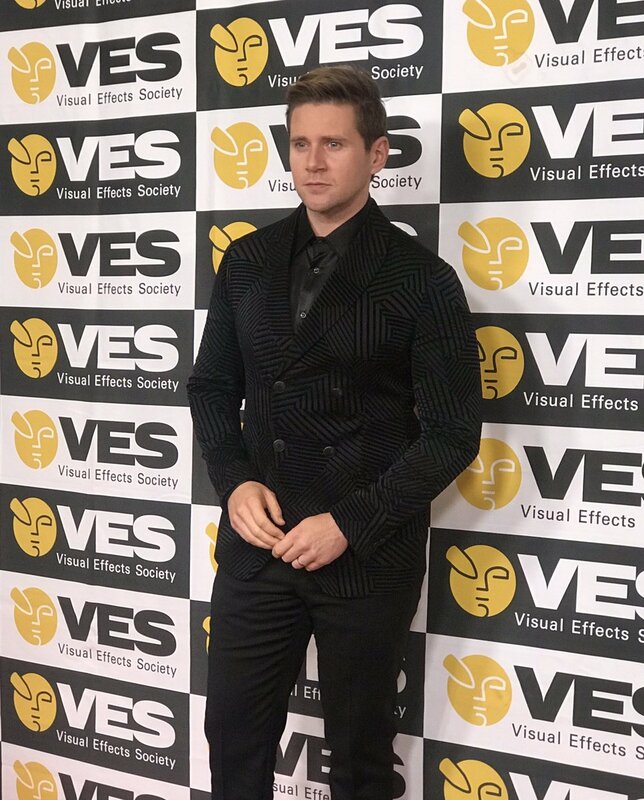 Allen Leech, who plays Freddie Mercury love interest in Bohemian Rhapsody, presented awards. Other presenters included the Russo Brothers. 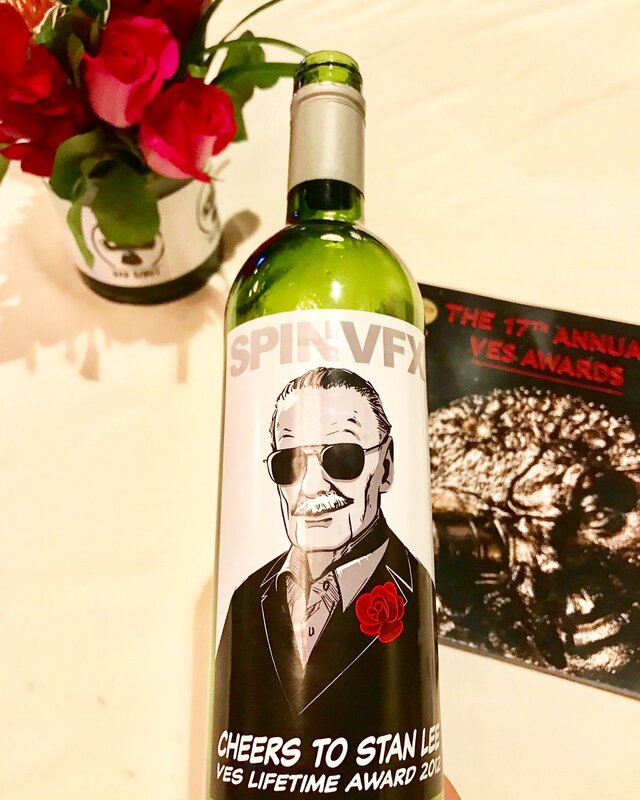 As Stan Lee created both the Avengers and Spider-Man, it was quite fitting and heartfelt appropriate that Spin VFX donated Stan Lee tribute wine bottles for tables to share during dinner. Stan Lee won the VES Lifetime Achievement Award in 2012. Thank you Spin VFX! Thanks to Bad Robot for the tropical flower centerpieces. At the beginning of the show, VES lead Eric welcomed attendees, and reminded everyone to use the hashtag (we love social media shout outs at awards shows!). He also announced that the Visual Effects Society is working on a new VFX online library archive to preserve the history of visual effects, so they don’t vanish after a film is completed. He also said the VES’ print magazine VFX Voice was doing very well. Actor comedian Patton Oswalt hosted the show again. “I’ve done this now 6 years. I love the show so much,” Oswald said, opening the show. He joked: Why haven’t the VFXers in the room haven’t enhanced him on screen after all these years? He also made jokes again about rendering time, and VFXers getting back to dark cubicle to get back to work, which got much laughter again.